" Yusuke Hishida 招待展 "
1948년 10월 19일 제주 동포 학살을 거부한 국군 제14연대의 봉기로 발발한 여순항쟁은 올해로 70주년을 맞습니다. 1만명의 목숨을 앗아간 여순항쟁은 한국사회가 반공국가로 고착화되는 결정되는 계기가 됐고, 이념과 사상의 대립으로 여전히 수많은 희생을 낳고 있습니다. 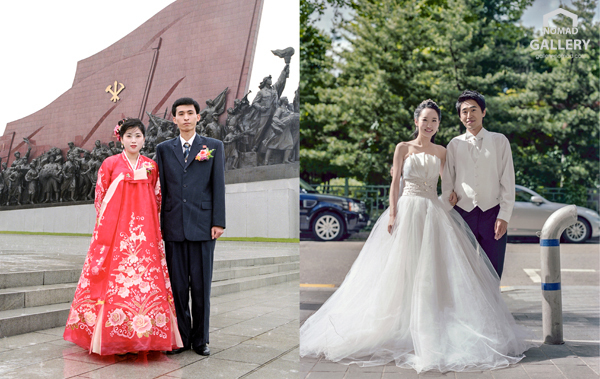 이에 여순항쟁 70주년을 맞아 유스케 히시다의 전시는 분단으로 야기된 현대사의 가장 큰 비극을 새롭게 인식하고, 승화시키는 계기가 될 것으로 확신합니다. 남과 북이 서로를 하나의 민족으로, 같은 인간으로 제대로 인식할 때 반공이라는 이름으로 더 이상의 비극이 일어나지 않을 것으로 확신하기 때문입니다. 최근 급변하는 동북아 정세에 남과 북의 차이점에도 많은 관심이 쏠리고 있습니다. “사람이 먼저다“라는 문재인 정부의 슬로건에서도 보여 줬듯이 남북의 차이점 중에서도 당연히 사람들의 생활모습에도 많은 관심을 갖지 않을 수가 없습니다. 유스케히시다의 작품에서는 남한과 북한의 어린이, 주부, 학생, 회사원등 사회각개의 일원을 제3자의 객관적인 눈으로 들여다보고 사진으로 작업을 하였습니다. 이러한 점에서 유우스케 히시다의 작품전시는 대중에게 보다 객관적인 남북의 생활모습과 표정을 보여줌으로써 잘못된 시각과 편견을 해소하고자 합니다. Yeosun (Yeosu-Suncheon) uprising, which broke out on October 19th, 1948 by the 14th Regiment of the Korean Armed Forces who refused to massacre the Jeju people, marks its 70th anniversary this year. 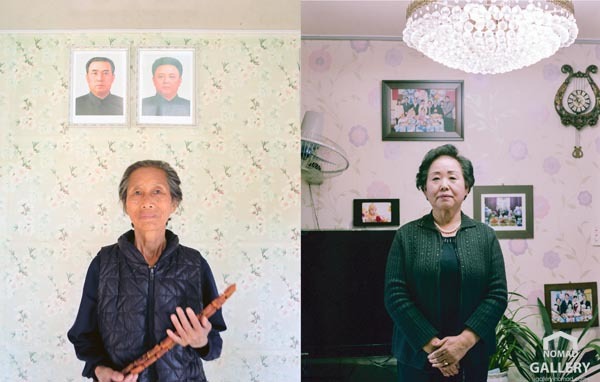 Yeosun uprising, which took 10,000 lives, has become a decisive moment for Korean society to become a nation of anti-communism and ideological conflicts still cause many sacrifices. Therefore, I am confident that the exhibition of Yusuke Hisida in commemoration of the 70th anniversary of Yeosun uprising will be a chance to newly recognize and sublimate the greatest tragedy of modern history caused by the division of Korea. I am sure that there will be no more tragedy in the name of anti-communism when the South and the North recognize each other as one people and the same human being. There is a lot of attention on the differences between South and North Korea in the rapidly changing situation in Northeast Asia. 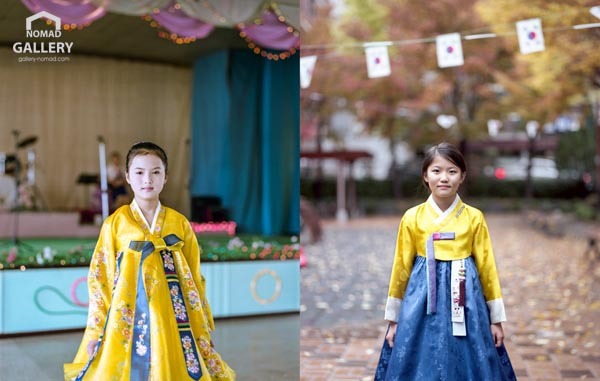 As the the slogan of the Moon Jae In government, "People are the first" has shown, I natually pay a lot of attention to people's lives among the differences between North and South Korea. 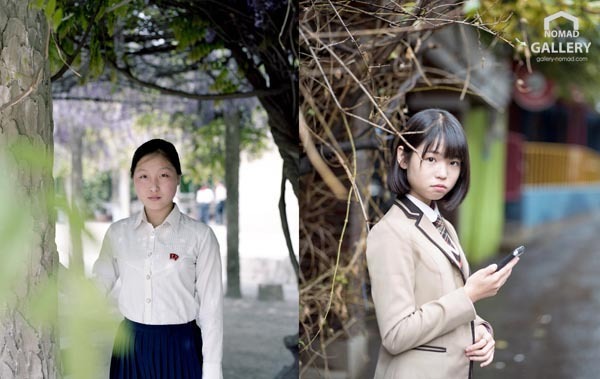 Yusuke Hisida looked at the individual members of society, including children, housewives, students, and office workers in South and North Korea, with an objective eye from a third party and worked on the photographs. 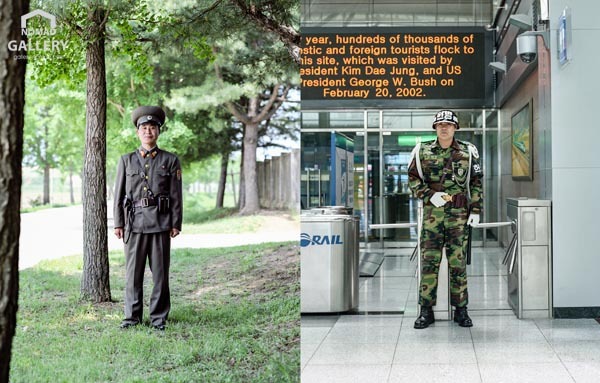 In this regard, the exhibition of Yusuke Hisida aims to eliminate misconceptions and prejudices by showing the more objective life and facial expressions of South and North Korea to the public. 히시다 씨는 “쇼윈도 도시”로 불리는 북한에서 안내원들이 보여주는 풍경과 허락된 사람들을 만나며 그들의 본질에 최대한 근사하게 접근하고 싶었다. 그리고 국경으로 갈린 “삶과 생각과 운명”의 대비를 사진을 통해 보여주고 싶었다. 그가 선택한 방법은 북한에서 찍은 사진과 최대한 같은 모습을 한국에서 촬영해 병치하는 것. 예를 들어, 북한에서 왼쪽의 사진을 찍으면 한국으로 날아가 가장 비슷한 장면을 찾았다. 허프포스트 일본판은 “(히시다 유스케는) 겉으로 봤을 때 비슷한 나잇대의 사람, 기상 조건, 건물과 산천의 배치를 찾아 몇 번이고 걸음을 옮겼다”고 전했다. 일본인으로서 북한을 바라보는 시선도 바꾸고 싶었다. 그는 인터뷰에서 “‘무서운 나라, 납치하는 나라, 싫은 나라’. 텔레비전에서 평양의 영상이 흐르면 일본인인 우리는 이런 선입견으로 북한을 본다. ‘이상한 나라’로 치부하고 거기서 생각을 멈춘다”며 “그런데, 거기에 비친 얼굴을 보고 ‘이들도 인간이다’라는 생각을 할 수 있을까”라고 밝혔다. 지도상에 그어진 하나의 줄이 인간의 운명을 어떻게 바꿀까. 남한과 북한 과거에 같은 나라에 살던 사람들은 38선이라 불리는 군사 분계선을 끼고 모두 다른 일상을 살아 가고있다. "b o r d e r| k o r e a"는 군사 분계선으로 갈린 두 나라를 두장의 사진에 치환, 병치함으로써 표현하려는 시도이다. 직선 거리로 190킬로의 위치에 있는 서울과 평양에서 사람들은 각각의 일상을 살아간다. 70년 이상 전에 분단된 이래, 쌓여온 수많은 선택들은 같은 이름을 갖고, 같은 언어로 이야기하고, 비슷한 얼굴을 가진 하나의 민족을 완전히 다른게 바꾸어 버렸다. 학생들의 교복, 군사 분계선을 끼고 대치하는 병사. 사람들은 버스나 지하철로 이동하고, 비가 오는 날에는 우산을 쓴다. 각 나라에서 태어난 아이는 지체없이 각각 나라의 가치관을 익히고, 성장하고 있다.